BLANKET CHECKLIST - Is Your Blanket Ready to be Turned In? Please check, double check, and triple check your blanket carefully for straight pins. It's better you find that pin and not the child who receives your blanket. ​PLEASE REMEMBER - For your donated blankets to be considered Project Linus blankets they have to be donated to a PL chapter and have a PL label attached. Please be sure to cut off the selvage (rolled) edge of fleece before making your blanket. No thread tails or runs of thread between stitching lines. Cut off that extra sewing thread so it doesn't get wrapped around a toe or finger. 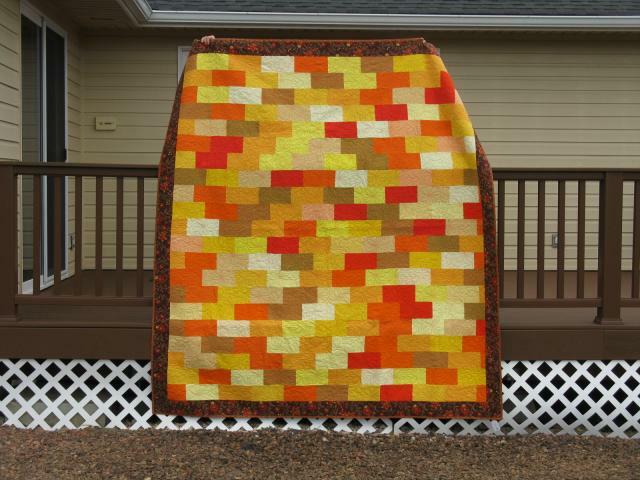 If quilt is bound, the binding catches all edges and covers all raw edges and quilt batting. Tied blankets - tied with bedspread weight crochet thread or embroidery floss. Yarn blankets - do not tie a knot and cut the yarn next to the knot. This will come untied. Instead, leave 4 to 8 inch yarn ends and use a yarn needle to weave the yarn ends into the stitches to secure the yarn. ALL blanket materials are NEW, CLEAN machine washable and machine dryable. No pet hair, cigarette smoke or other contaminants in or on the blankets. Blankets could be as small as 36" × 36." The majority of Project Linus blankets are about 40" × 60", or what is called "crib size." Blankets could be as large as twin size for teens. We are delivering blankets for preemies all the way up to 18 year old children at risk. Thank you for all your love and devotion to the Children in our communities.